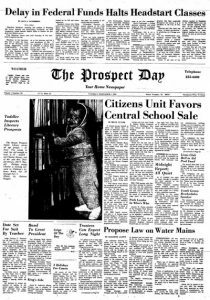 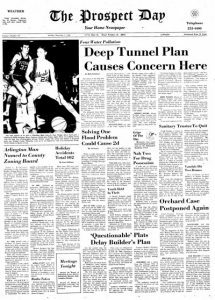 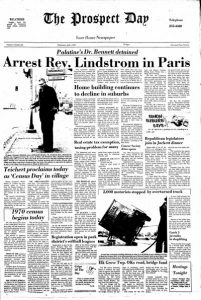 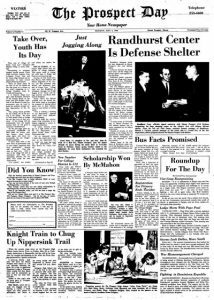 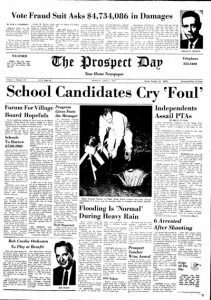 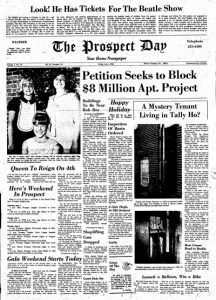 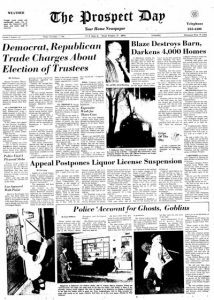 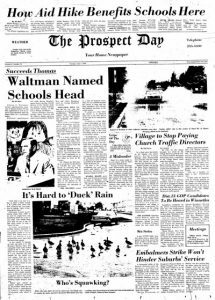 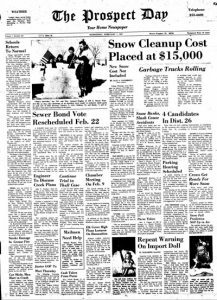 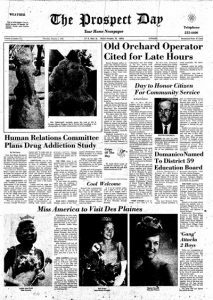 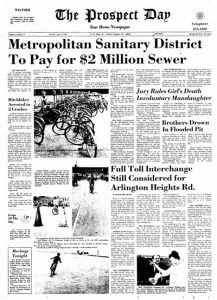 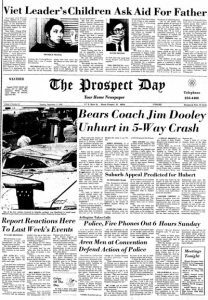 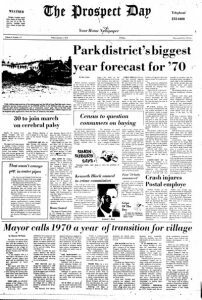 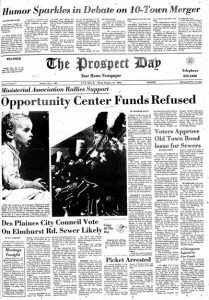 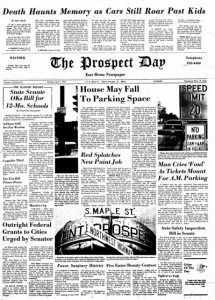 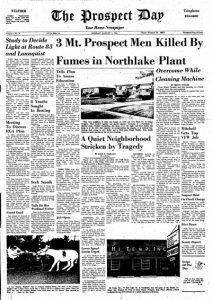 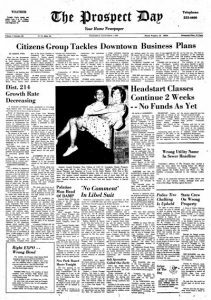 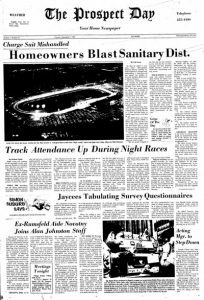 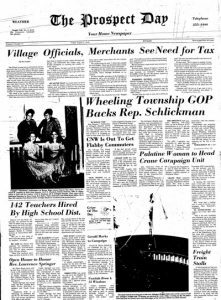 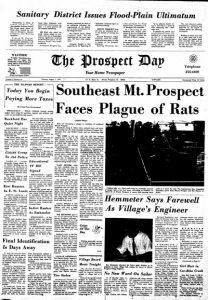 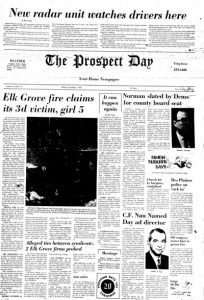 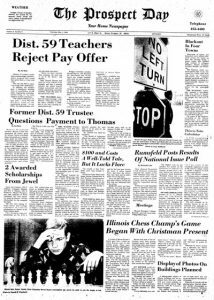 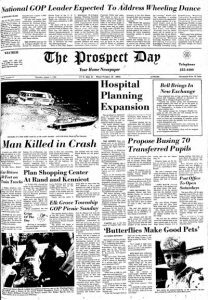 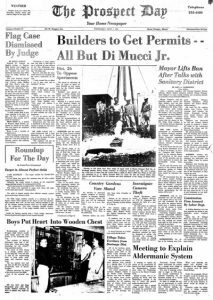 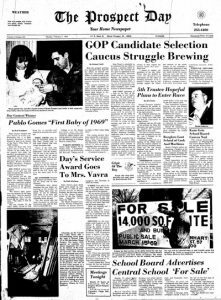 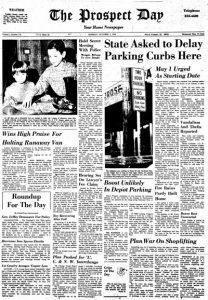 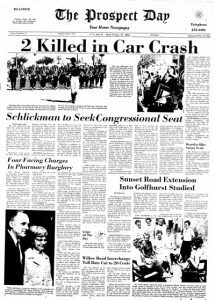 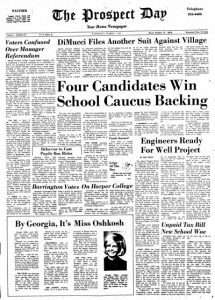 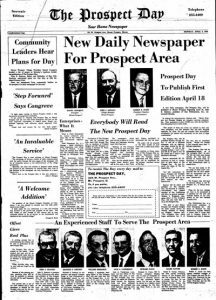 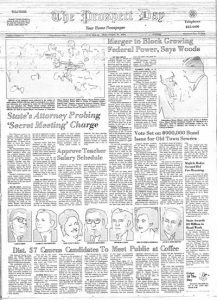 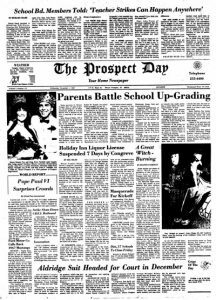 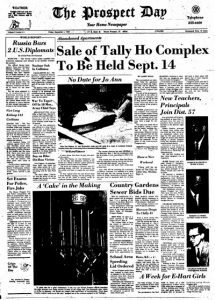 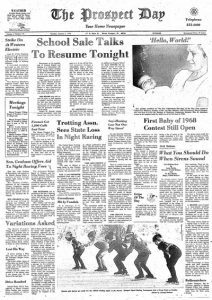 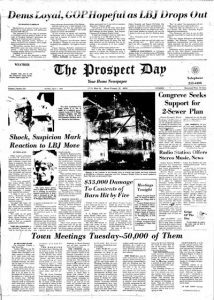 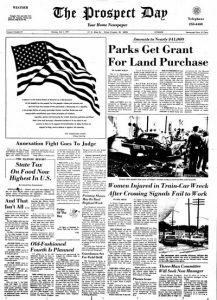 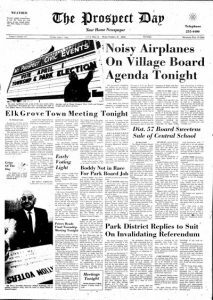 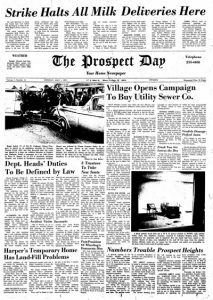 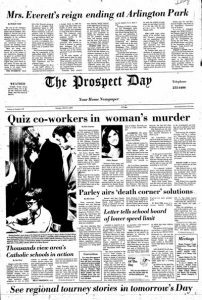 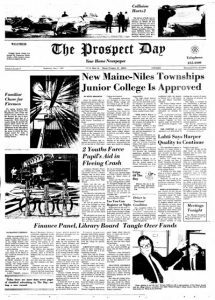 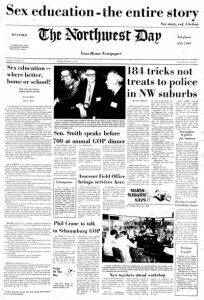 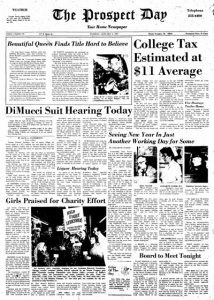 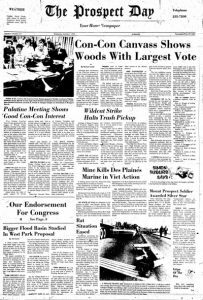 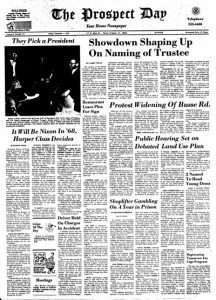 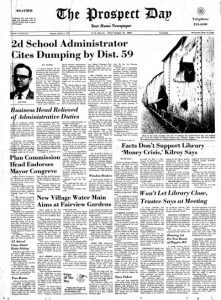 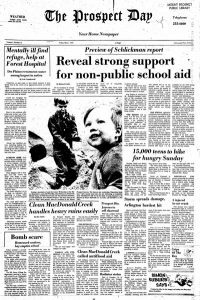 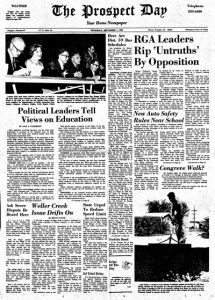 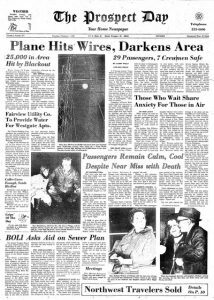 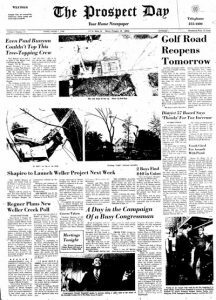 The Prospect Day was a daily newspaper published between 1966 and 1970 in Mount Prospect. 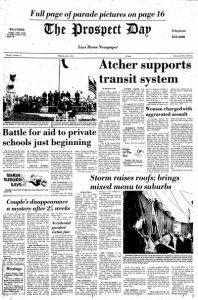 It is now accessible digitally as seen below. 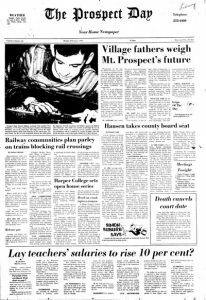 The issues are arranged by month and are searchable. 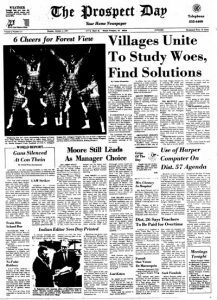 If you have questions please ask the Research Desk staff.